70 years ago, when our resistance war against the French Colonialists was in the hardest and fiercest phase, following President Ho Chi Minh’s initiative, on March 27th, 1948, the Party Central Committee issued the Directive on launching the Patriotic Emulation Movement to mobilize all possible human and material resources for the sake of the victory of the resistance war and the success of national construction. To make patriot emulation diffuse within the entire Party, military and people, on June 11, 1948, President Ho Chi Minh issued the Appeal for Patriotic Emulation initiating a vibrant revolutionary movement under the Party’s leadership. He said: “Patriotic emulation will bring us to a new level in the resistance war and national construction, and it will quickly lead us to success”. Following his thought on patriotic emulation, the patriotic emulation movement was conducted diffusely, maintained and promoted effectively during the process of national liberation, construction and protection. In parallel with the patriotic emulation movement, the “Determined to Win” Emulation Movement by the Military has really become a key revolutionary driver greatly contributing to glorious victories of the country’s cause of resistance war and national construction. In the resistance war against the French Colonialists, following Uncle Ho’s Appeal for Patriotic Emulation and his teachings “Emulation is patriotism, patriotism requires emulation”, the military launched emulation movements, such as “Enough food, good guns, fighting to win”, “Annihilating the enemy to achieve feats of arms”. In the resistance war against the U.S., for national salvation, the Patriotic Emulation Movement in the Military was inherited and developed to a new height. Typical examples were the movements, such as “Searching for troops of Saigon army to fight, searching for the US troops to kill”, “Determined to defeat the US invaders”, and the emulation movements to earn the titles of “Valiant destroyer of the Yanks” and “Heroic Unit of destroying the Yanks”. 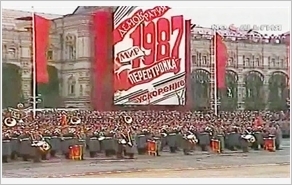 In 1973, inheriting and developing the movement “Determined to defeat the US invaders”, the Ministry of National Defence launched the “Determined to Win” Emulation Movement in an effort to encourage cadres, troops, members of the militia and self-defence forces, and defence employees achieving feats in combat, combat readiness, and production, thereby greatly contributing to the cause of liberating the South and reunifying the country. In the period of building and defending the Homeland, the Determined to Win Emulation Movement has developed widely and deeply, and focused on building a revolutionary, regular, elite, gradually modern Army. The movement has always closely followed the political task, particularities and operations of each office and unit. Focal points of the movement are to make breakthroughs to overcome weaknesses and arouse a sense of self-reliance to surmount difficulties and challenges for the sake of new achievements in work. Typical movements include: “Good training, strict discipline, high level of combat readiness”, “Good training, skilful combat”, “Passionately training regardless of weather conditions”, “one focus, three breakthroughs”, “The entire Army act in conformity with military regulations”. Those movements have brought about the practical effectiveness in training, combat readiness and observance of discipline among offices and units. It is noted that in recent years, the Determined to Win Emulation Movement has been closely combined with the implementation of the 12th Politburo’s Directive 05-CT/TW, dated May 15, 2016, on acceleration of studying and following Ho Chi Minh’s thought, ethics and lifestyle, and the Party’s Central Resolution 4 (11th and 12 tenure) on the Party building and rectification. Moreover, offices and units have closely combined regular emulation with breakthrough emulation, movements and campaigns by sectors and mass organizations. Following the emulation movement “The whole country joins hands for the poor - no one left behind” in the period of 2016-2020, military units have organized practical activities to support the poor, contributing to achieving the country’s goals of sustainable poverty reduction. In the spirit “everyone emulates, every sector emulates every single day”, the Determined to Win Emulation Movement has been conducted effectively via major movements and campaign within the Military, such as “Building strong, pure party organization”, “Building comprehensively strong unit”, “Maintaining military standards and discipline”, “Military Logistics Sector follows Uncle Ho’s teachings”, “Deserving to be Uncle Ho’s soldiers”. Besides, the Determined to Win Emulation Movement has contributed to strengthening the military-civil unity via the movements of “Gratitude”, “Building new-style rural area”, “Youth Volunteer” as well as the successful fulfillment of the tasks of natural disaster and environmental incident prevention and mitigation with the participation of tens of thousands of cadres, troops and vehicles from military units. Those are not only Uncle Ho’s soldiers’ noble manifestations of courage and sacrifice for the people in the new era, but the results from the Determined to Win Emulation Movement. It is worth noting that via those movements, there have appeared good, effective, flexible models and approaches, such as “Good training, strict discipline maintenance, high level of combat readiness”, “Actively, flexible, successfully fulfilling the task” by military regions, corps and services, “Good learning, strict discipline maintenance, good researching”, “3 improvements, 3 exemplifications” by military universities and schools, “Building 5-good military medical unit”, “Military medical soldiers follow Uncle Ho’s teachings” by the Military Medical Sector, “Work safety, traffic safety - No violation of discipline” by economic units. It is clearly to see that following the Patriotic Emulation Movement, since its inception, the Determined to Win Emulation Movement has constantly been developed widely and deeply into emulation movements for each sector, area, and period, directly contributing to building a politically, ideologically, and organizationally strong Army, making a huge change in units’ task performance. Consequently, the synergy and combat strength of the Military have ceaselessly improved as the basis for it to safeguard national independence, sovereignty, unification, and territorial integrity, and maintain peace and stability for the country’s development. Over the past 70 years of implementing the Patriotic Emulation Movement and the Determined to Win Emulation Movement, we should seriously assess strong and weak points and draw lessons to improve the quality and effectiveness of the movements and meet the requirements of Homeland defence in the new situation. First, it is vital to maintain and strengthen leadership and direction of party committees and commanders at all levels over this important task; to opportunely concretize emulation movements into action programs/plans relevant to particularities and mission requirements of each unit. Party committees and commanders of offices and units should conduct the work of education and propagation, while seriously implementing emulation movements on a synchronous basis. By doing so, offices and units would arouse a sense of self-reliance, creativity and spirit to overcome hardships as well as constant, enduring striving among collectives and individuals, create a vibrant emulation atmosphere in all operations, while rectifying deviations, irresponsibility, “achievement disease” and dishonesty in the emulation and reward work. Second, it is necessary to closely combine the implementation of emulation movements with that of central political task, with a focus on improving task performance of the unit. At the same time, the work of inspection and supervision should be strengthened to opportunely detect and overcome weaknesses in the emulation movements. Third, significance should be attached to building and consolidating a contingent of cadres in charge of the emulation and reward work qualitatively and quantitatively; opportunely counseling and proposing measures for conducting the emulation and reward work and the Determined to Win Emulation Movement in accordance with particularities and task of each office and unit. Fourth, due regard should be paid to carrying out reviews and drawing lessons on implementing the emulation movements; opportunely appraising and rewarding outstanding collectives and individuals. Last but not least, it is essential to multiply typical examples in the Determined to Win Emulation Movement to encourage examples of “good people, good deed”, ensuring that emulation movements really become part of military life and a key driver for individuals and units to successfully fulfill every assigned task.